Thermostatically controlled to give accurate cooking temperatures throughout cooking. Fail-safe top temperature cut out ensures safe operation. 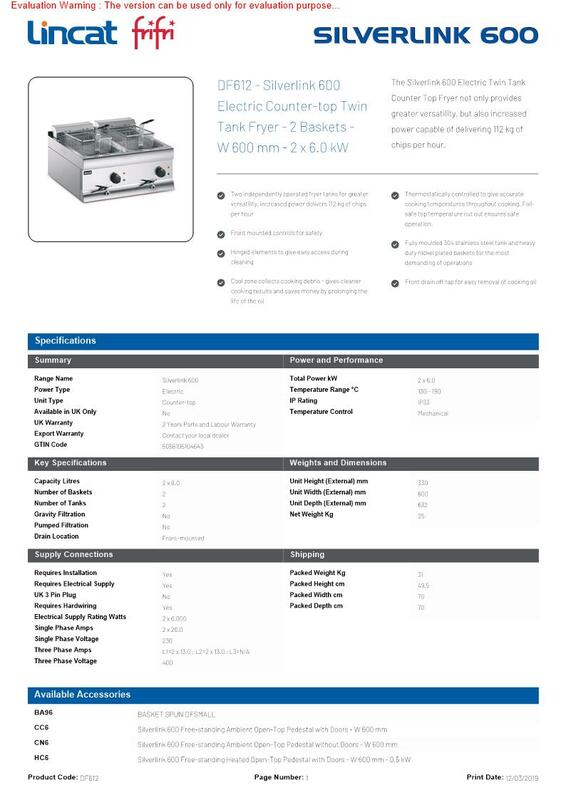 The Silverlink 600 Electric Twin Tank Counter Top Fryer not only provides greater versatility, but also increased power capable of delivering 112 kg of chips per hour.